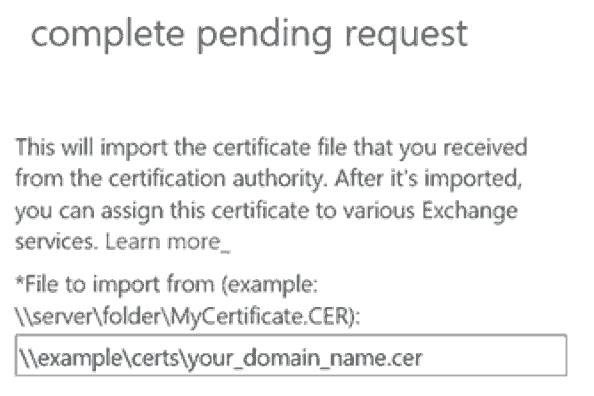 Copy your SSL Certificate to your Exchange Server’s Network Share Folder. Note: This should be the same location where you saved your CSR. 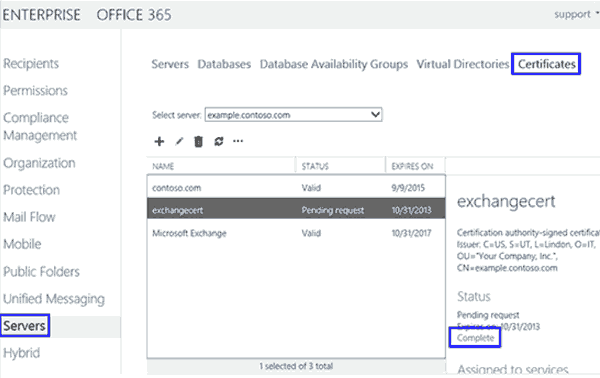 In the left-hand column, select Servers, then select Certificates from the top-right menu. Choose your SSL Certificate from the menu in the middle of the page, then select Complete. 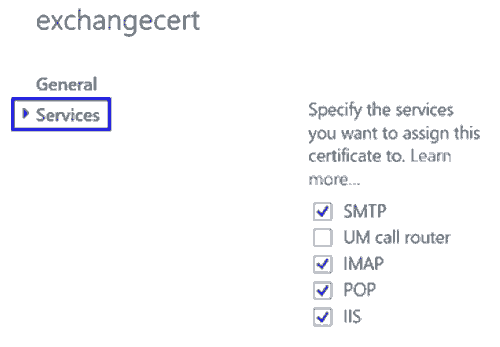 To enable your SSL Certificate, go back to the Certificates section of the Exchange Admin Center (from Step 4). Select the Certificate you would like to enable and click the Edit icon.